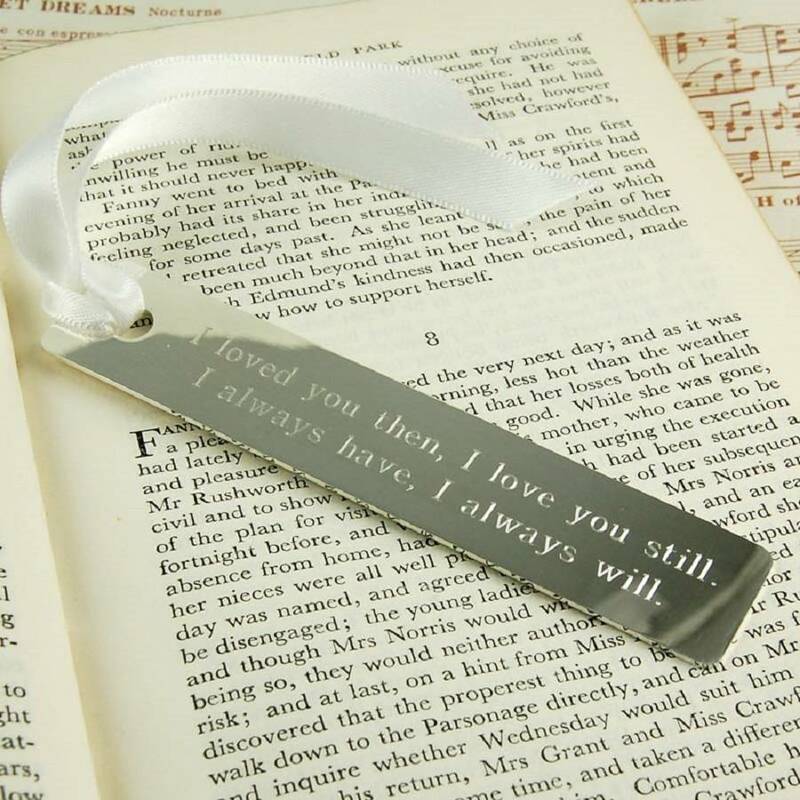 Our Personalised Bookmark makes a lovely gift for so many occasions, and will be used and treasured for many years to come. The bookmark can be personalised with a name, date or quote and there is plenty room for text so you can really get your message across. 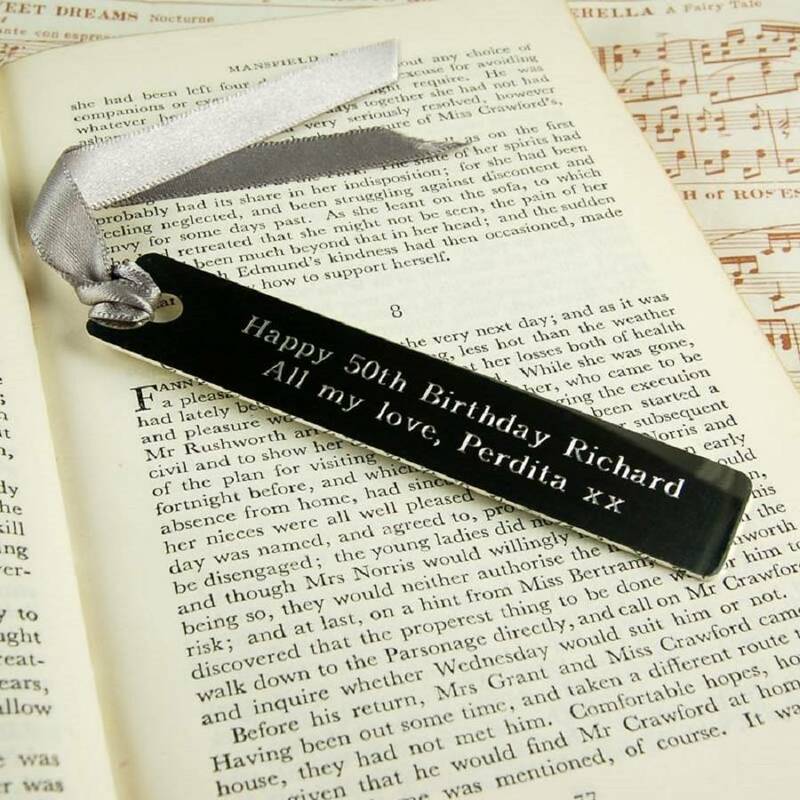 Engraving on one side of the bookmark is included in the price, and there is an option to add further engraving on the reverse if required. 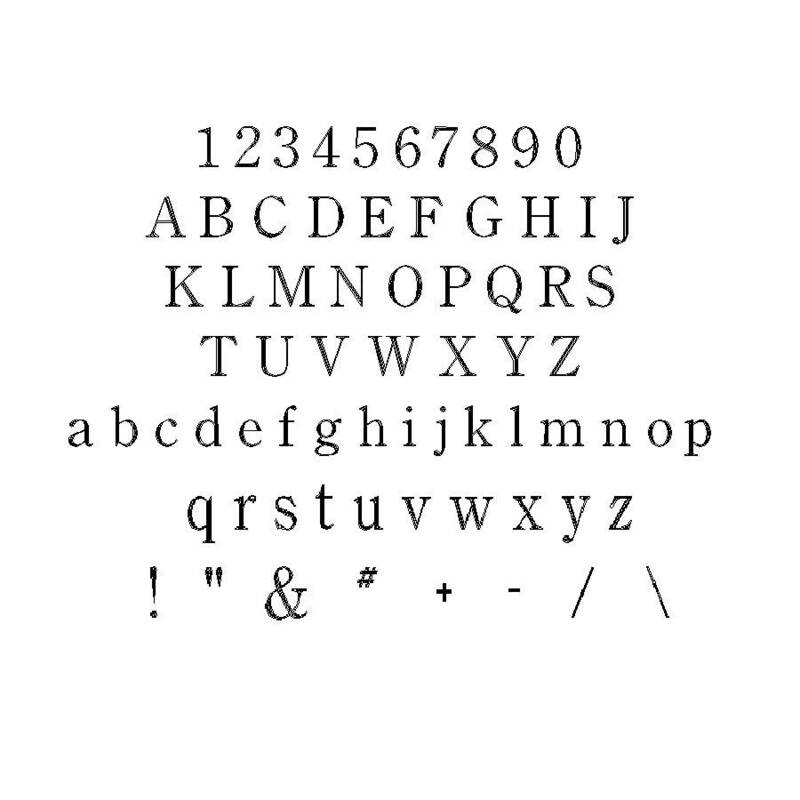 Each side of the bookmark can be engraved with up to two lines of text with a maximum of 35 characters in each line. 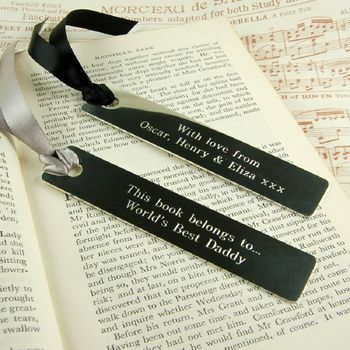 Finish your bookmark with a choice of colours of ribbon. 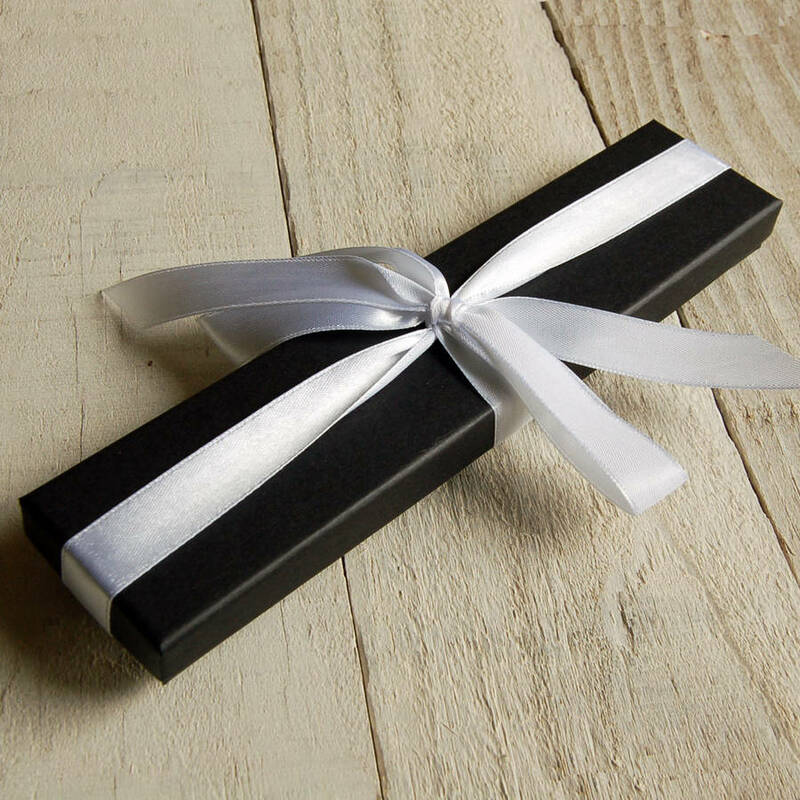 The bookmark comes beautifully gift-wrapped in white tissue in a black gift box, tied with white satin ribbon. 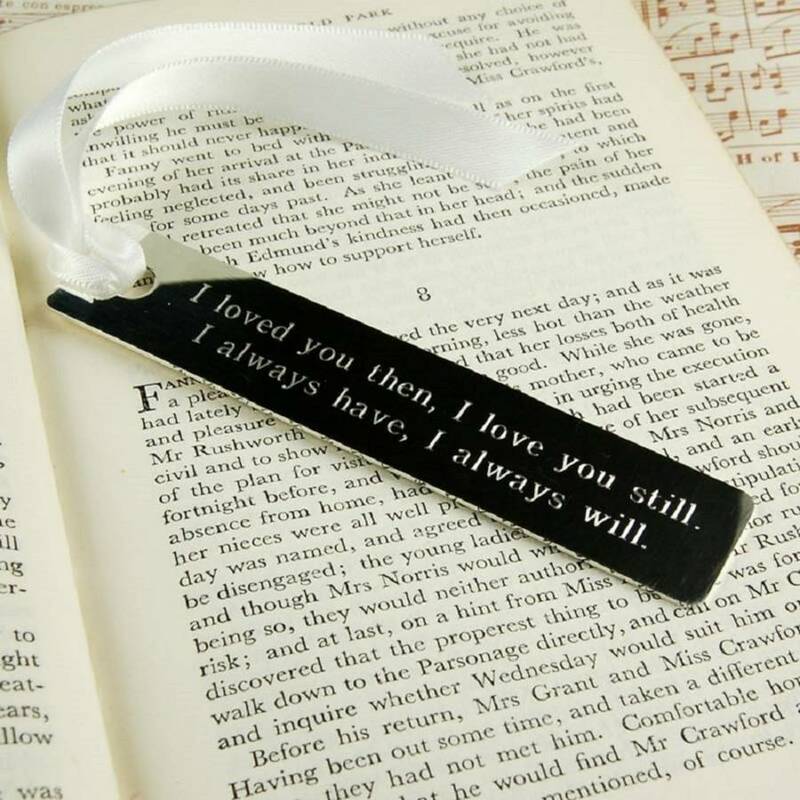 Bookmark 10cm x 2cm. 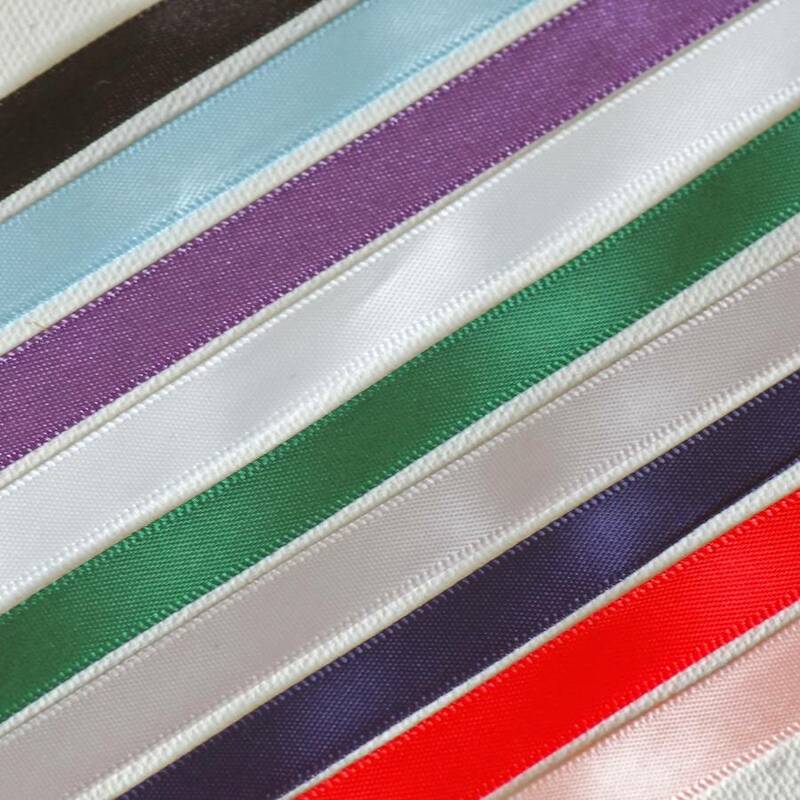 Choice of colours for ribbon.